Fiat 500C Performance, Engine, Ride, Handling | What Car? 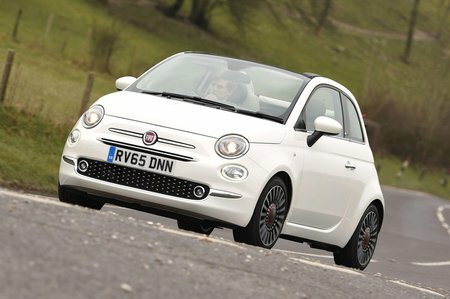 Despite the glamorous trappings of a cabriolet, to drive, the Fiat 500C feels like the city car it is. The suspension is quite soft, so you get lots of lean through bends, but the payoff is spongy bump absorption that makes for an easygoing ride comfort – albeit with a bit of bobbing about and thumping over scruffy surfaces. It’s wieldy enough to feel completely at home around town, but the vague steering and the rather laid-back performance offered by all the engines means that the 500C is definitely most at home in unhurried, slow-speed use. The entry-level 1.2 is our favourite engine. It revs sweetly enough and delivers enough punch to satisfy in town and lower-speed driving, although it does feel strained at motorway speeds, and you’ll be changing down a gear regularly if you want sprightly acceleration. You can also get an ‘Eco’ version of the 1.2 engine, which has automatic start-stop that brings lower CO2 but costs quite a bit more to buy. The Twinair models – a 0.9-litre two cylinder engine available with 84 or 104bhp - are faster, and aren’t without merit, since it’s quite fun to wring out the performance on offer. However, it is also very noisy and sends quite a few vibrations through the steering wheel and pedals, not to mention being quite expensive. A 1.3 diesel is offered, which we haven’t tried yet, but experience of it in other cars suggests it’ll be quite noisy and not well suited to the dinky Fiat 500. The five-speed manual gearbox in all the models has quite a sloppy shift (an auto is available on the 1.2, but we haven’t tried it yet), and the brakes take some getting used to as they have an overly sharp initial response. 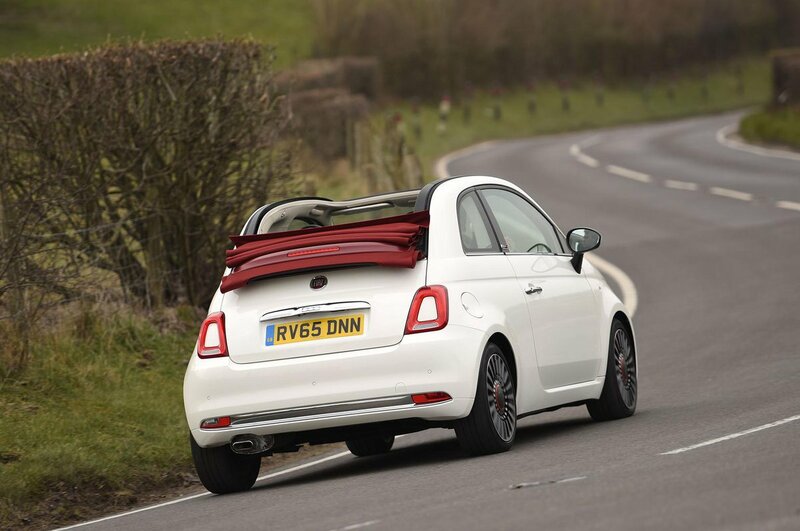 Add to this the fairly substantial wind noise you get over the windscreen and fabric roof at higher speeds, and the noticeable engine buzz, and the Fiat 500C is not a particularly quiet car for long journeys. It does, at least, keep you fairly well protected from any major wind buffeting when you’ve got the roof scrolled back, so the optional wind deflector (which is a bit of a job to put up) isn’t worth adding.